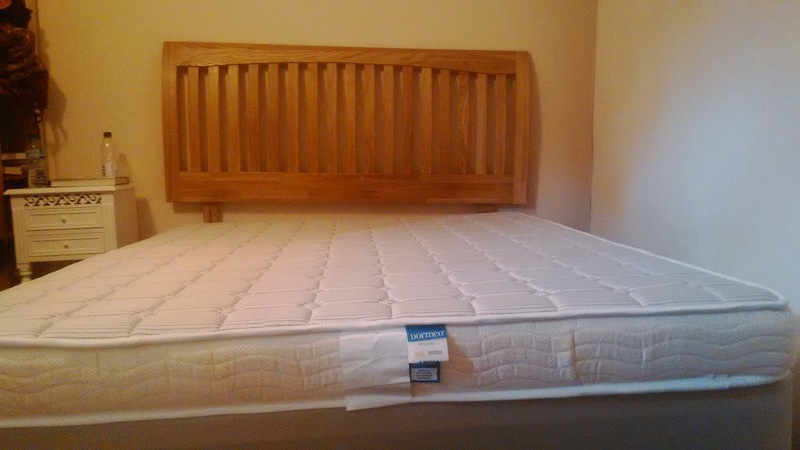 We were recently sent a mattress to review from Dormeo. The one we chose was this memory foam mattress, their bestseller which currently has £150 off – down from £299.99 to £149.99 – what a bargain! Like most people, we love our sleep and we especially need to be comfy if a certain toddler decides to toddle in during the night. 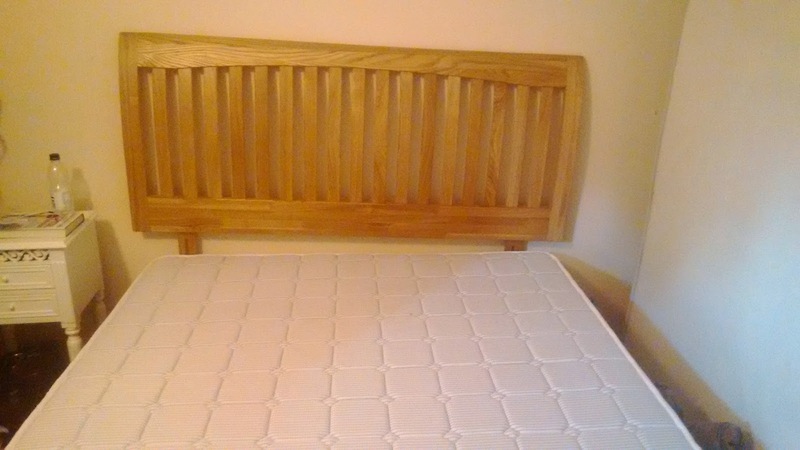 After moving our old and battered mattress to place this on, it was quite bizarre – our old mattress was a lot thicker so it was a little strange to be further down than what we had been so used to. I have always wanted to get a memory foam mattress but we had never got round to it. When buying beds, we tended to buy them with mattresses included so I was reluctant to spend out on another when we had just got a perfectly good one. When offered one to review, I didn’t need asking twice. The mattress itself is super comfortable and I do find it hard to get out of bed in the mornings sometimes. It sounds quite cliche but it is so comfortable, it is almost as if the bed is giving you a hug – if that makes sense? Dormeo mattresses are of Italian design and heritage. This mattress in particular is their original mattress, their best seller and the inspiration for all of the other mattresses – high praise! With an upper layer of visco-elastic memory foam sewn into the Florentine stitched cover, you are guaranteed softness. Underneath the layer is the patented Ecocell, 3D open cell foam which provides consistent back support. I must admit that the back support element was the worry. Both Steve and I have suffered back problems in the past and previous mattresses have sometimes intensified the pain. 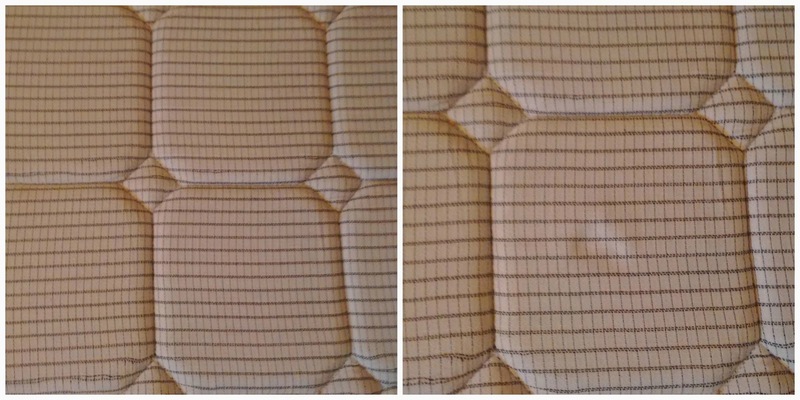 Knowing that there was something within the mattress designed to give back support put my mind at rest. The mattress is also designed to prevent build up of heat and moisture on the surface and is also anti-static and anti-dust mites – a must for any bed. I don’t know about you but I tend to get really warm at night and some mattresses just don’t help with that – I often find myself overheating – but so far so good with this. Overall, we are really happy with this. It is our first memory foam mattress and I can be sure that we would purchase another one in the future if we needed to. However we may not need to as Dormeo offer a fantastic 60 night comfort guarantee after purchasing and an even better 15 YEAR warranty – how great is that? It certainly shows how much faith they have in their product! We were sent this item for the purpose of review. All honest opinions are my own.